On July 14, NASA’s New Horizons spacecraft will make the very first approach of Pluto and its largest moon, Charon. On the eve of this historic accomplishment, a new report from Mendeley showcases the contributions of academic publishing to deep space missions. The author of the report, Mendeley’s Educational Resources Manager Paul Tavner, writes about the importance of this event – and how you can experience it with live updates from Mendeley. Surely the coolest place to be on Earth on July 14th will be NASA headquarters in Washington DC – and representatives from Mendeley are going to be there to provide live updates on social media. We have been invited by NASA to be on site as the New Horizons spacecraft comes within approach distance of Pluto. This encounter represents the culmination of a nine-year mission —launched on January 19 2006 — to learn more about the frozen bodies at the farthest limits of our solar system. Map the geology of the dwarf planet Pluto and its largest moon, Charon. Examine their surface compositions & temperatures. Study Pluto’s atmosphere and to search for an atmosphere around Charon. Search for rings and additional satellites. These goals will be accomplished using a sophisticated suite of instruments that includes cameras, spectrometers and plasma and dust detectors. 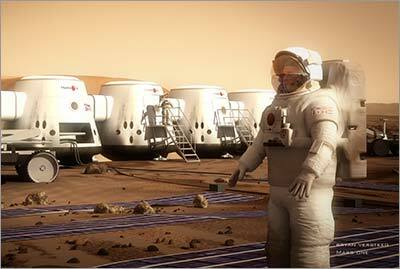 These are exciting times in space exploration. Previous missions have already revealed vast amounts of data about other planets, but this is the first to provide in-depth analysis of the “dwarf planet” Pluto (downgraded from planet status in 2006 following an International Astronomical Union resolution) located in the Kuiper Belt — a belt of icy objects beyond Neptune that is believed to hold hundreds of similar icy bodies. The achievements of this mission, and of other deep-space missions that have gone before, would not be possible were it not for the dedication of thousands of researchers working tirelessly to turn science fiction into science fact. The new report by Mendeley, “New Horizons: From Research Paper to Pluto,” recognizes this momentous occasion and aims to examine the role of academic publishing in deep-space exploration. 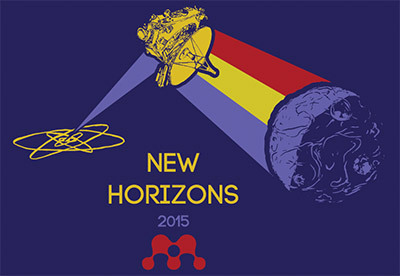 The report takes an in-depth look at the history of the New Horizons mission. It provides a variety of graphics and diagrams illustrating the probe’s payload, as well as an analysis of scientific output and research trends around the mission. It also provides comparisons to similar missions, such as Cassini-Huygens, launched in 1997 to visit Saturn, and Ulysses, a robotic probe launched in 1990 to study the Sun. Sending a probe across the vast distances of space with such extraordinary precision can only be achieved as the result of a long trail of incremental contributions. By examining the literature produced around missions, as well as the ways in which these papers are connected via citation and theme, we can build up a better understanding of the amount of effort that goes into space exploration. The societal impact of ongoing space research is an important consideration for researchers working in the field. Certainly, many of the sophisticated technologies we take for granted today — such as freeze-dried food, cochlear implants, memory foam, new fabrics used in sportswear, high-density batteries as well as robotics used in industry — would not have been possible had it not been for the space missions of the last half-century. We wait with great anticipation to see what secrets this dark, icy dwarf planet gives up to a nifty spacecraft searching for new horizons of its own. On Tuesday, July 14 – the day of the flyby – we will be sharing events as they take place in NASA headquarters. We will release photos, videos and interviews during the course of the encounter, and help put the mission’s significance into historical context. On Wednesday, July 15, we will provide live updates from an event hosted by Mendeley at the Wilson Center in Washington, DC: NASA’s New Horizons: Innovation, Collaboration and Accomplishment in Science and Technology. We have organized a series of lightning talks inspired by the mission, which will be introduced by Mendeley Founder and CEO Jan Reichelt and will also feature NASA’s Open Innovation Program Manager Beth Beck. To join, follow @mendeley_com on Twitter and use the hashtag #Papers2Pluto. Paul Tavner (@PTavner) is Mendeley’s Educational Resources Manager and the author of “New Horizons: From Research Paper to Pluto.” Paul is responsible for producing guides and materials to help users to get the most out ofMendeley, the name of the company and a research collaboration platform and workflow tool that was acquired by Elsevier in April 2013. As part of the Community Team, he is also helping to grow the Advisor Program – a global network of volunteers who help to spread the word about Mendeley to researchers. 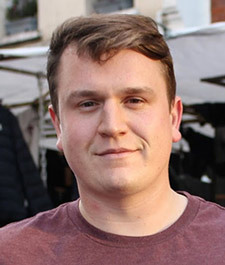 He is based in London.